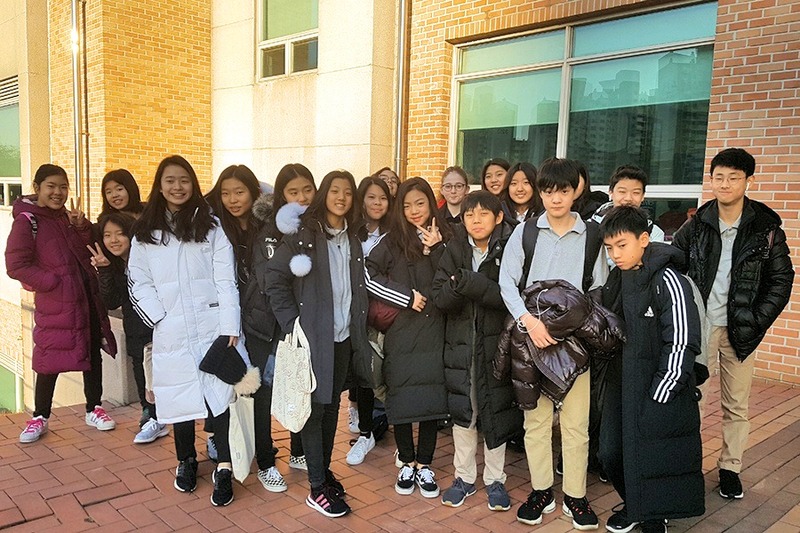 On Thursday, January 24, 19 YISS middle school choir students attended the KIMEA MS Honor Choir Festival at Gyeonggi Suwon International School (GSIS). This national honor choir is a selected ensemble open to choir students from all international schools across Korea who are members of the Korea International Music Educators Association (KIMEA). This opportunity is for those students who are nominated by their school choir director. This year's festival had 140 students from nine different schools who came together and formed two choirs: Mixed Choir and Treble Choir. Each choir performed three choral selections from the standard choral repertoire and had the unique opportunity to work with several choral directors from the participating international schools.